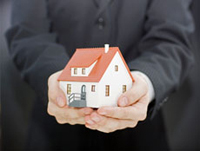 We offer a full range of McDonough property management services tailored to you as an investor, homeowner, or landlord. 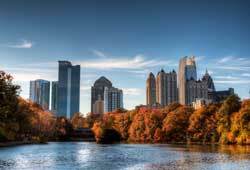 We have an extensive portfolio of single family homes, townhouses, condos, and apartments in the McDonough area. Are you stressed out over your tenants not paying? Are your properties taking up too much of your free time? Are you moving out of the state? Is your current McDonough management company letting you down? The town was named for naval officer Commodore Thomas MacDonough and founded in 1823 around a traditional town square design. The buildings surrounding the square are intact although there are some vacancies. The county courthouse and historic jail building are on the north side near the Welcome Center in a historically maintained Standard Oil service station 1920 prototype. The station also houses the Main Street Program Office and Hospitality and Tourism Office. In the center of the square is a monument to Henry County's Confederate dead. One block east of the square, the town's original cotton warehouse has been replaced with the Henry County Judicial Center. In the same area the Henry County Courthouse Annex has an original oil on canvas "Cotton Gin" (4½ by 11 feet) by Jean Charlot. He painted this oil in 1942 for the town post office. His works can be found all over the world in everything from children's books to large murals.